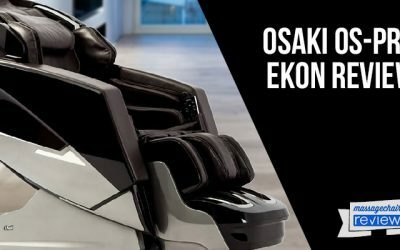 The Ogawa smart 3D massage chair is one of the most innovative massage chairs that we have seen to date. 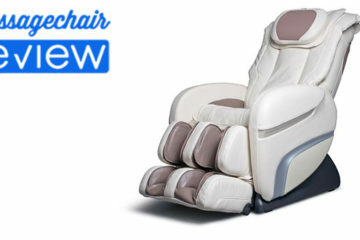 It has several new features that we have never seen before on a massage chair. This includes a full Samsung tablet that comes preloaded with Ogawa’s smart app technology. Lets check out some of the cool features below. 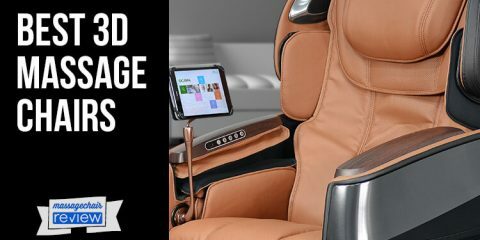 The Ogawa Smart 3D is the first and only massage chair on the market that comes with a free full touchscreen Samsung HD tablet that comes preloaded with the Ogawa Smart App, so you don’t need to download it. 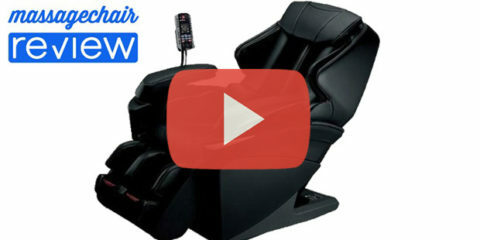 This connects easily to the chair through bluetooth technology and allows you to fully control your massage chair. The Smart App updates through WIFI, and the tablet is fully functional. This means you can browse the web and listen to music right from the tablet while you get a relaxing massage. 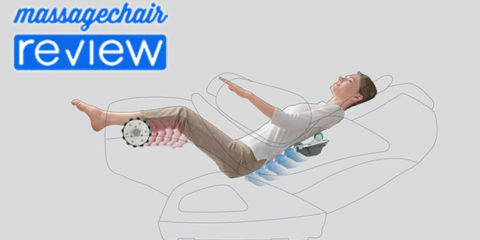 The Smart3D is the only massage chair with a feature like this. This allows the user to create unlimited user profiles which each have its own customized massage program. The customized programs are created when you setup a new user profile. You are asked to answer about 8 questions about your body type and the kind of massage you enjoy. The smart app then creates a customized program based on your answers which you will be able to select from the pre-programmed massage menu. This is pretty cool. 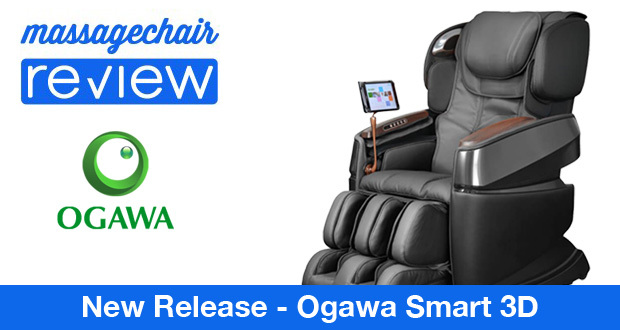 The Ogawa Smart 3D has patented touch sensors built right into the ottoman. 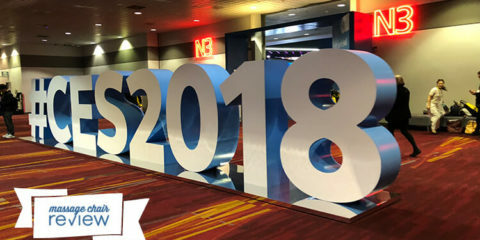 The sensors automatically measure the PSI and will adjust for each unique user. This is pretty amazing technology and solves a huge issue in the massage chair industry of the air bags squeezing too tight. This is the only massage chair with this technology. The Smart 3D also has touch sensors in the bottom of the footrest that will automatically adjust for each users height and can accommodate someone between 5’2″ to 6’6″. There are 17 massage programs to choose from that very from light to deep. It also has one of the best Thai Stretching programs that we have ever experienced. The cool thing about the Smart 3D is that you can download new programs when they come available through WiFi. 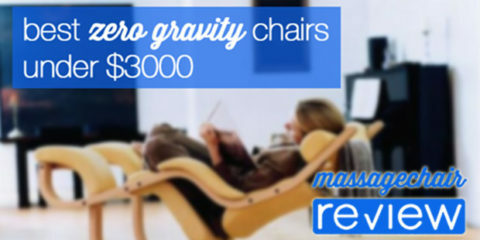 This is the only massage chair on the market that has this capability. The Smart 3D uses a two head roller system that allows for more sophisticated massage movement. It is able to do the 6 basic massage techniques, plus 6 more for a total of twelve. 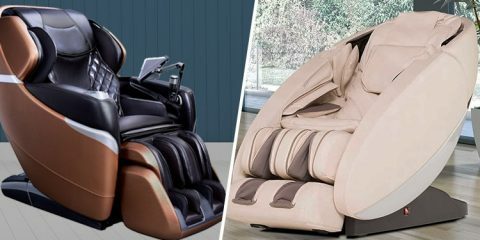 We have talked about some of the cool innovative features that puts the Ogawa Smart 3D in a league of its own, now let’s take a look at some other advanced features that make it one of the best massage chairs on the market today. The Ogawa Smart 3D uses one of the most advanced 3D roller systems on the market. The 3d technology allows for more control of the roller and the roller head can actually adjust in and out depending on the users preference. 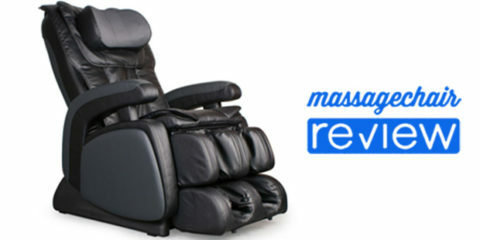 This allows the user to adjust for a deeper or lighter massage. 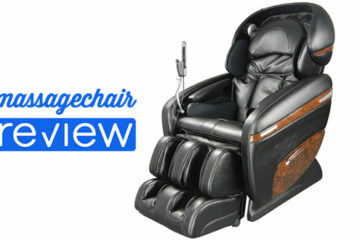 It also uses a patented two head roller system that we usually only see in Japanese designed massage chairs. This technology allows for humanistic movements making it one of the best rollers we have ever seen. The Ogawa Smart 3D scans your back and uses touch point sensor to create a 3D mapping of your back. This allows it to make micro adjustments for each user’s unique s-curve. The sensors are able to scan for your shoulders as well adjust for different users heights. Most massage chairs only scan and adjust for height. There are deep kneading foot rollers in the foot rest as well as air compression. The kneading applies the perfect amount of pressure to the bottom of the foot. This is nice feature because some foot rollers on can get pretty strong too the point where there more painful than relaxing – not the Ogawa Smart 3D’s. 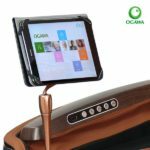 If that was not enough, the Ogawa Smart 3D also comes with 2 high quality speakers built into the headrest, as well as two led lights that can change multiple colors to set the perfect mood. There quick touch controls embedded into the armrest that lets you recline into the zero gravity position or easily cycle through any of the auto programs. There is also a USB plug so you can charge your the tablet or any smart device. 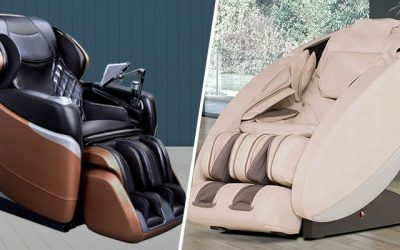 If your looking for a massage chair with all the bell & whistles and more than the Smart 3D should be on the top of your list. 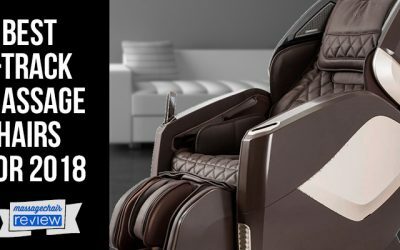 The Ogawa Smart 3D retails for $6,999 which is a very nice price when considering the overall feature set and all the cool innovative features that we have never seen on a massage chair. 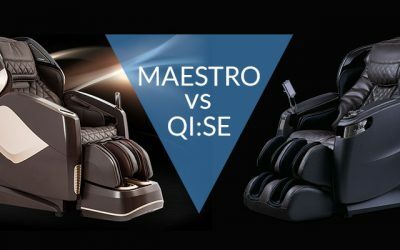 That’s why it is easy to say that it is the most innovative massage chair that we have seen to date. 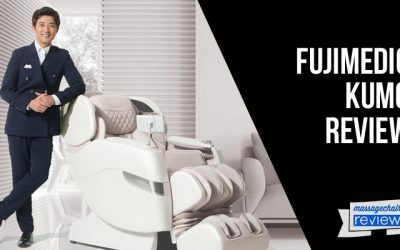 To you learn more about the Ogawa Smart 3D massage chair and all its innovative features check it out at Ogawaworldusa.com .